Its not everyday that you stumble onto a fight to the death between birds. I have seen many squabbles between ducks, coots and honeyeaters and of course one sided battles between birds of prey and their victims. 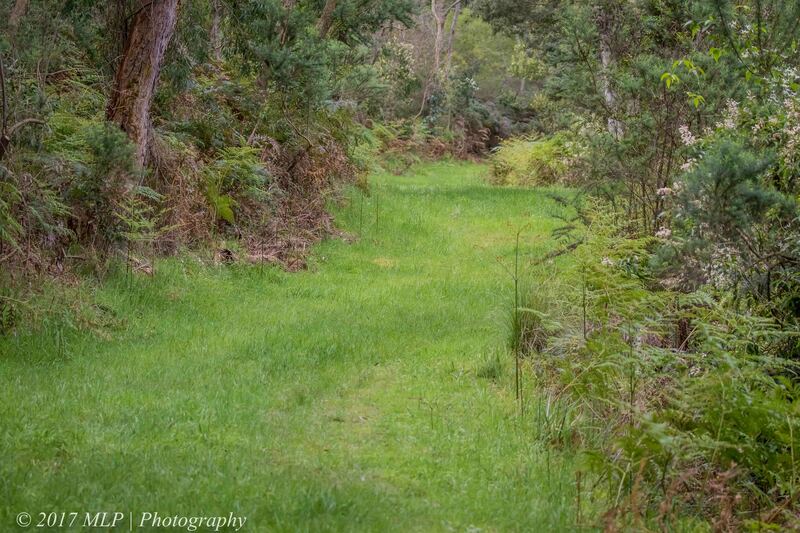 But I have not seen a fight to the death between small beautiful songbirds. 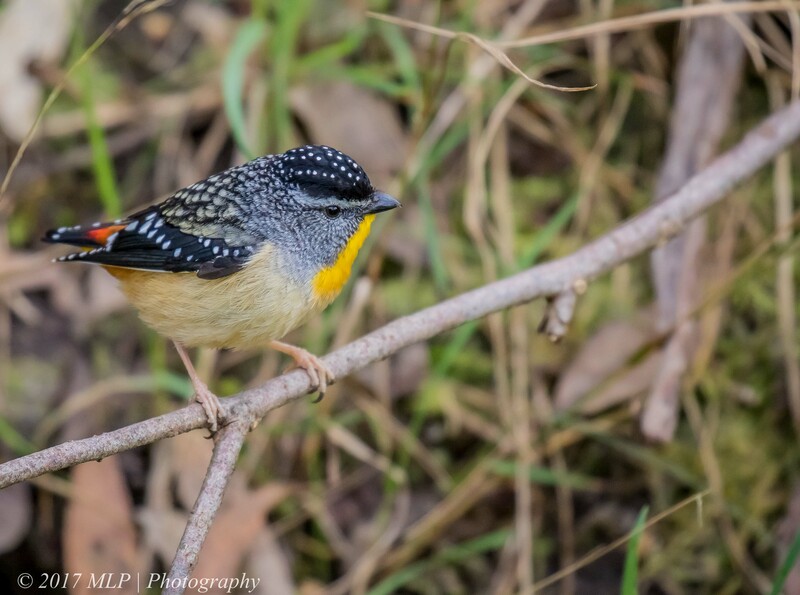 I often hear Spotted Pardalotes in the various forests that I explore. I even get the occasional visitor in my inner city suburb. They have a distinctive call and I more often record them in my logs as heard rather than seen. 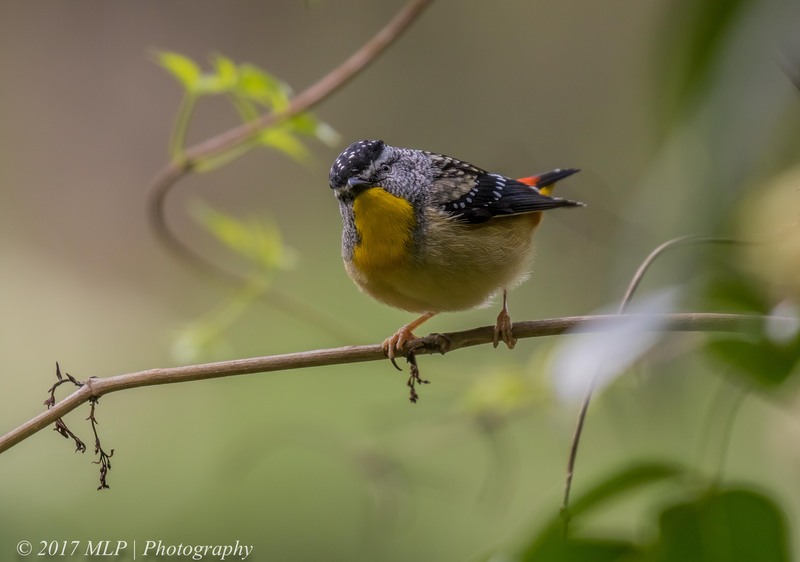 During spring when they are building their nesting burrows and attending eggs and chicks they become much more visible at the lower levels of the forest. 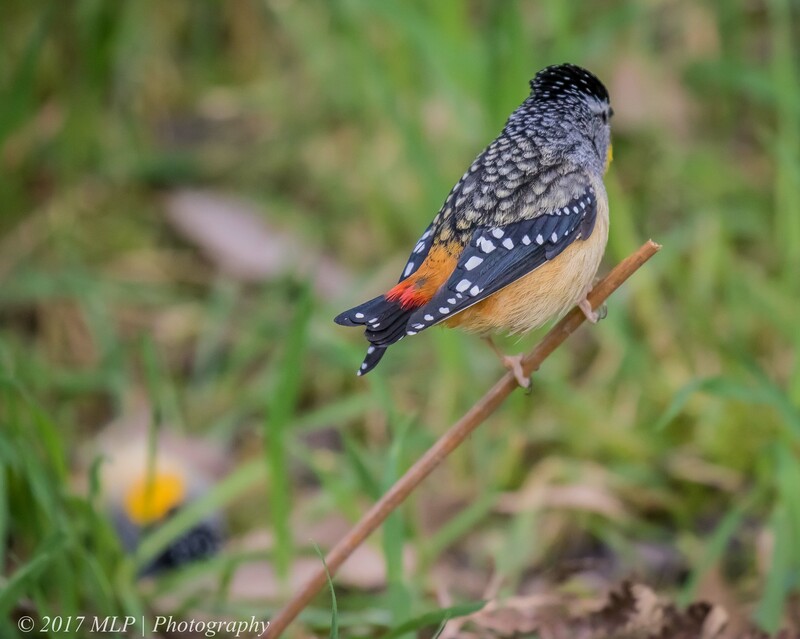 I have a good spot at Moorooduc Quarry where I can find, observe and photograph the Pardalotes. 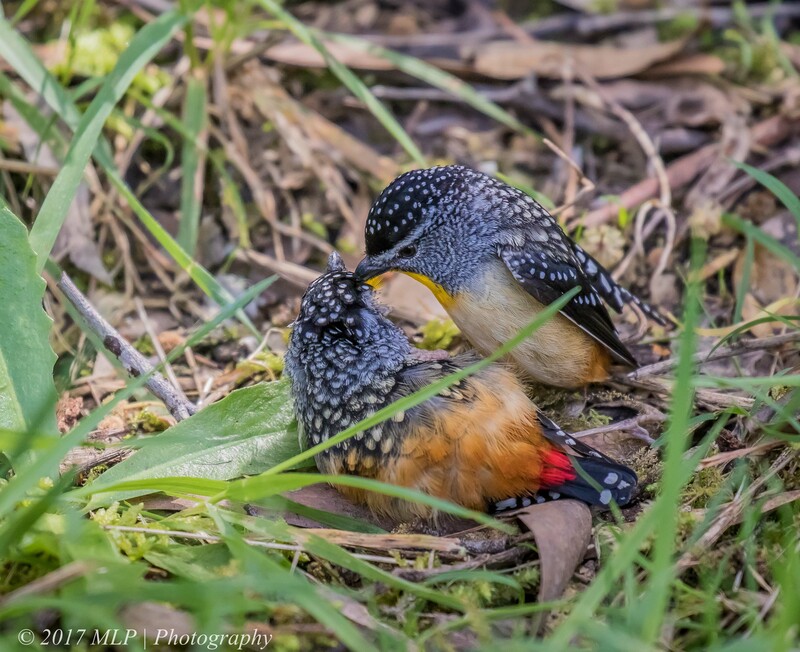 On a recent visit I walked along my regular burrow track and found a two male pardalotes fighting on the ground. 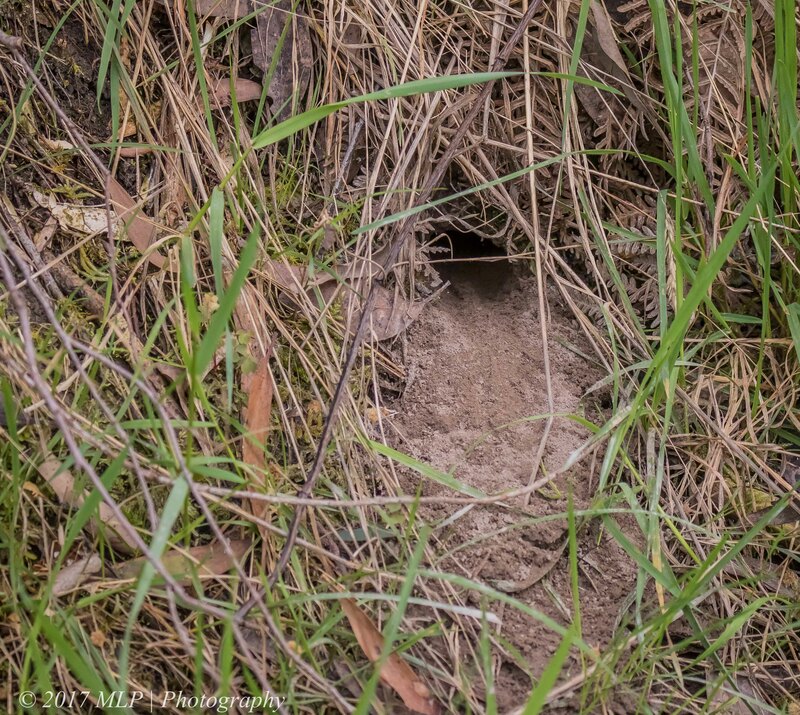 I couldn’t tell which one was the intruder or the burrow owner. 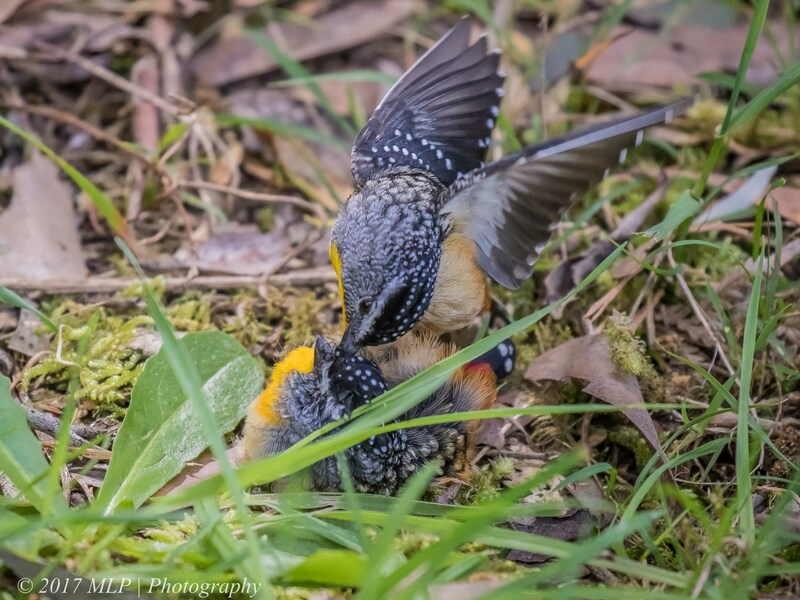 The fight resulted in the death of one of them and the other continued to attack until I removed the pardalote when the victor had flown to a nearby branch. I wanted to check the dead bird for the injuries. There was no blood or obvious wounds except both eyes were missing. 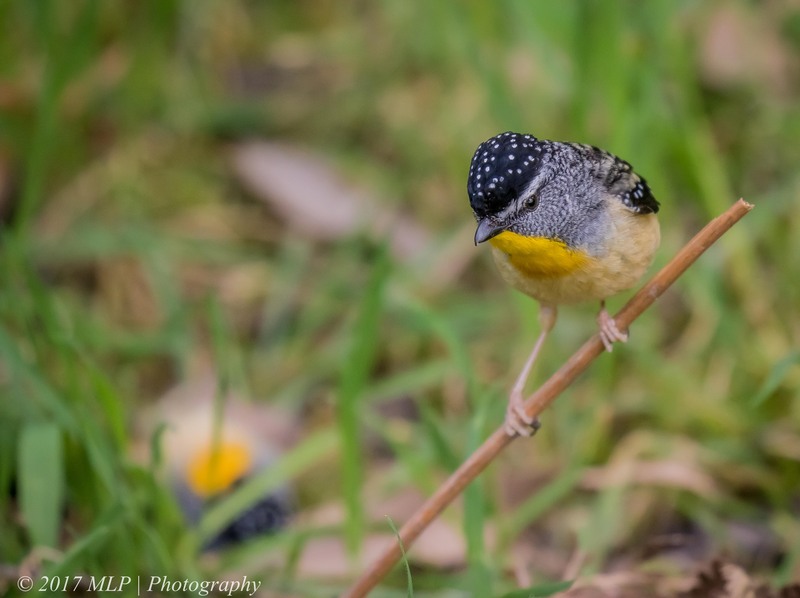 Once I removed the dead male pardalote and stood back I waited to see whether the other would return – I was still trying to figure who owned the burrow. Probably 5 min later the male returned to the area with a female closely behind. They moved around the area and finally the female ducked into the burrow. My guess is that the victor was the intruder and he brought his mate to inspect this prime position. 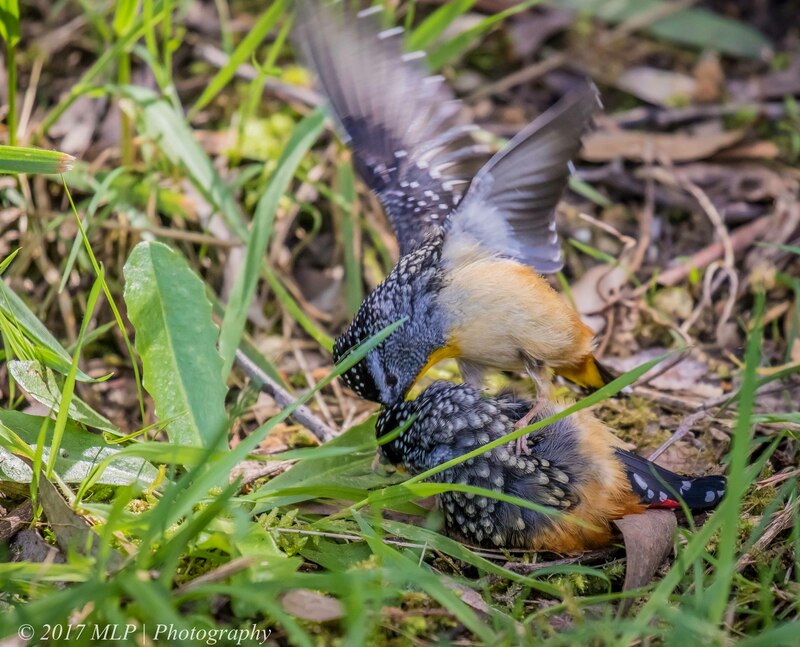 I had no idea that this beautiful tiny bird had such ferocious fights to the death. 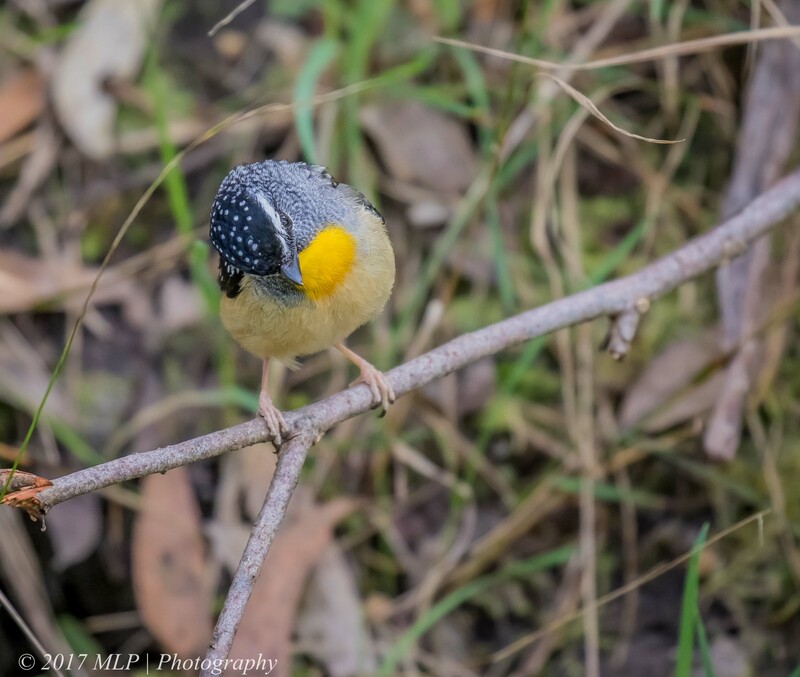 This entry was posted in Bird Behaviour, Birds, Victoria and tagged Australia, Australian Birds, Bird battle, Bird death, Bird Photography, Moorooduc Quarry, Moorooduc Quarry Flora and Fauna Reserve, Nature Photography, Pardalote nest, Spotted Pardalote, Victoria. Bookmark the permalink. Did the other bird revive? Wow Malt what an amazing capture! Who would have thought they would have fought like this and poke the eyes out of the opponent. Great captures, and a great discovery of their behaviour.